Gmax : a free 3d modeling software from Discreet, it has exactly the same feature on 3d modeling as 3d max (3D Studio Max), except for rendering, and animation. 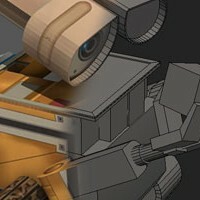 It was designed to modify and modeling objects in 3d games. You need to register (free) to obtain this software. You can download here (turbosquid.com).